In doing so, she becomes embroiled in palace intrigues and deceptions, discovering her own capacity for bloodshed. 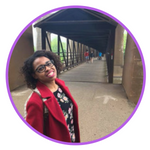 But as civil war threatens to drown the Courts of Faerie in violence, Jude will need to risk her life in a dangerous alliance to save her sisters, and Faerie itself (goodreads). The Cruel Prince does not let you breathe for one second. Plot: The Cruel Prince opened in bloodshed and led the reader on a twisty ride of betrayal and politics; I loved every minute of it! As a child whisked away to Faerie, Jude was always on the outside of society even though she wanted nothing more than to prove herself to be their equal. What I loved about Cruel Prince was that Black painted the Folk as both beautiful and deadly; there wasn't over flowery language about their beauty, instead Holly Black focused on the danger that lurked behind their smiles. It was easy to fall into the story of Jude and her critical eye had me wondering what move she would make next. Once you pick The Cruel Prince up, make sure you set aside a full reading day, because it was impossibly hard to put this one down. That ending though. 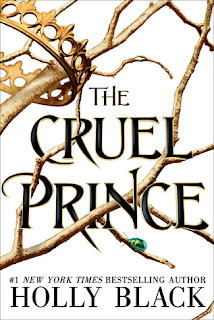 Characters: There was a note from the editor in this ARC greeting the reader and indicating everything that she loved about The Cruel Prince. One thing that was mentioned was Jude's incredible character arc and I agree; Jude was had impressive growth. In the beginning, she tried desperately to belong but her mortal fear was always lying right under her skin. As the novel progressed, Jude started making risks and began thinking more like a soldier rather than a small mortal girl - I loved it. She was unpredictable and I wanted her to win at every step. Jude's relationship with her family was also another selling point. Her "father" was a Faerie general who murdered her parents and brought her and her sisters to live with him. Even though he was a hardened murderer, Jude couldn't help but see him as her father since that was all she had known. Each sister also had different aspirations in life and didn't always see eye-to-eye. Worldbuilding: What I liked about The Cruel Prince was that the Faerie world co-existed with our modern world, just one glamour away. It was an interesting juxtaposition to see Jude go to the mall in one chapter than attend a royal Fae ball in the next - but it worked well. This world was explained so easily and in-depth that falling in love with the world was natural. 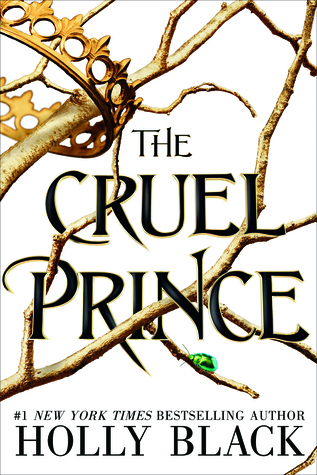 Short N Sweet: The Cruel Prince was surprising at every turn and wholly additive, I know you'll enjoy!